The New York Times just published 15,000 words about the estate and gift tax strategies President Trump’s father, Fred Trump, used to transfer his billion dollar real estate empire to his children more than 20 years ago. NYT reporters accessed public records and had others provide them confidential documents such as estate and gift tax returns. The point of the NYT piece is to disprove President Trump’s claim that he is a self-made man by claiming he received $413 million from his dad. They do not note that represents only 1/7 of his current net worth as reported today by Forbes. 1. Even though the NYT used the terms “tax dodger,” “sham,” “dubious schemes,” and “improper,” to describe Fred Trump’s planning, the actual planning strategies he used were legitimate. 2. 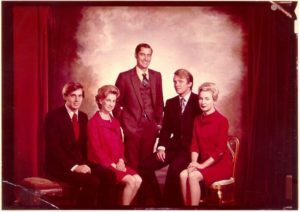 Fred Trump utilized valuation discounts and special trusts called GRATs to greatly reduce the gift and estate taxes owed on the transfer of his assets to his children. 3. Any impropriety on the transfers is due to the appraisal values for the real estate which seemed low in light of later sales. 4. Try as the NYT might to implicate President Trump in any impropriety, any wrong doing belongs to the person making gifts, i.e. Fred Trump, not the person receiving the gifts. 5. Am I the only one to notice that only confidential tax returns of Republicans are leaked to the press?